It was my absolute privilege to speak to over 100 women and girls last week at Cannon Hill Anglican College for International Women’s Day 2018. The opportunity to speak about STEM education for girls is not just about closing historical gaps, it’s also about numbers that don’t lie. 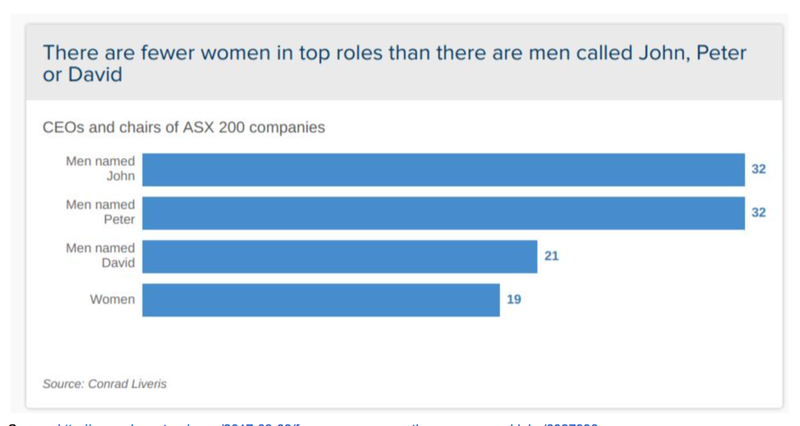 We now have statistical proof that APAC companies with at least 20% women board directors have financially outperformed their peers every year since 2007. Why does this happen? Research tells us it is the diverse perspectives we bring that improve the amount of money a company makes. When we're in the room, we make a positive difference EVERY SINGLE TIME. Before I continue I want to be clear that my goal in talking about the gender gap is to stop talking about the gender gap as soon as possible. Shifting the conversation to high performing companies managed by the best people is an exciting reality, but we aren't there yet. Growing up in the US I always believed I could do anything. I wanted to be a doctor, a spot welder and an engineer at different times in my young life. But my life changed the day I sat down for my first Introduction to Computer Science class at university. Not only did I find out that I could build my own website but it was a woman teaching me how to do it. The programming classes that followed were not easy but I'd found my calling in the world of computers and technology. My career choice has opened so many doors for me, but the reality is that girls are not pursuing Science, Technology, Engineering or Maths (STEM) in large enough numbers. 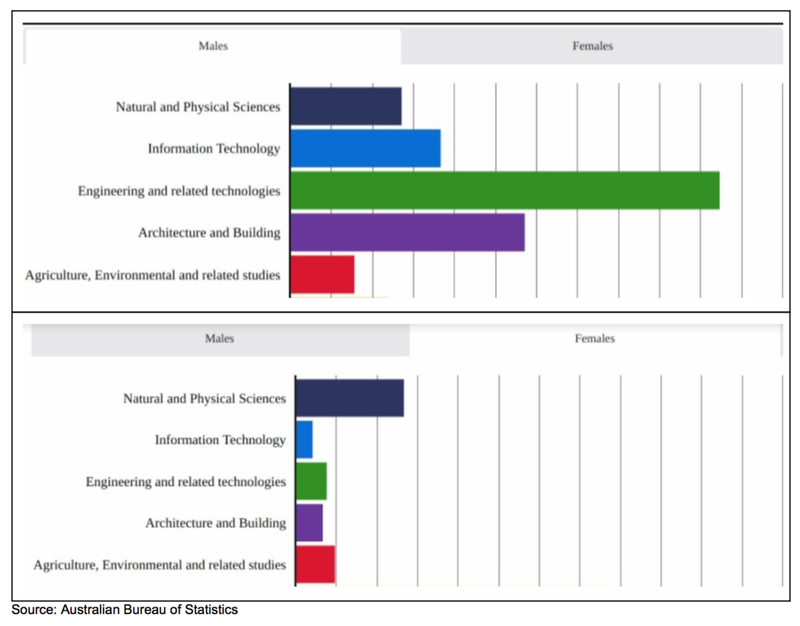 The top graph shows the percentage of male students graduating secondary school with STEM qualifications. The bottom is the same percentage for female graduates. This is despite the fact that STEM graduates earn more than non-STEM across the board. Studies show that girls opt out of STEM careers as early as 6 years old and that is not only detrimental to our drive for balanced leadership but it is detrimental to the future prospects of Australia as we do not currently have even a quarter of the technology workforce required for the future of our economy. 1. They don't have relatable role models. 2. They don't know just how many jobs are actually available in science & information technology. The Tech Girls Movement wants to solve these problems not with more talk, but with action. Each year we sponsor a 12 week app building competition that in 2017 saw almost 1800 girls across Australia and New Zealand compete. In small teams the girls plan, design, build and pitch an app that helps solve a problem in their community and our goal is to bring the total number of girls competing to 10,000 in 2020. My daughter and I attended the announcement of the winners last year and the roar that went up in that auditorium when Pacific Pines was announced as the winner was so fantastically loud my daughter thought wonder woman had just flown into the room! Want to get involved? Join as an official member today.